National Arbor Day in the US is on the last Friday in April. T is for tree trace and color printable. Trees alphabet cards, plus bird and squirrel cards, to make games and activities. Trees growing in a forest background - children draw things that might be seen in a forest. Trees growing in a park background - children draw things that might be seen in a park. Trees growing in a tropical rain forest background - children draw things that might be seen in a rain forest. Trees growing in a back yard background - children draw things that might be seen in a back yard. Trees theme - creative coloring. Add things to the picture to make it more interesting. 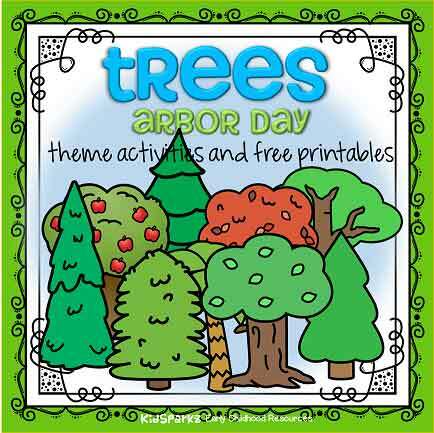 Arbor Day printable - What does a forest/park ranger do? Trees theme discussion - How do trees help people? Print 2 copies, play lotto, concentration etc. Arbor Day - poster/discussion. Giraffe eating. These activities can be downloaded in the Member Library.